Robin selects his top 5 pieces from this year's Baselworld. Following my colleagues’ top selections of this year’s Baselworld novelties, I have also selected my Top 5 watches from the highly-touted annual watch exhibition as well. In the recently concluded Baselworld 2017, we have definitely seen some hits and misses. In today’s article, the watches that I have selected are sorely based on my personal preferences – they have either impressed me with the workmanship, aesthetics, or even the technical bits that goes behind the production of the piece. The list, also, does not follow any ranking system. So, what have I selected? Let’s find out! The “two-tone” Tudor Heritage Black Bay. We begin the article with a manufacturer that is probably one of the most highly-anticipated by both the press and the collectors: Tudor. Over the last few years, we have seen a huge revival of interest in this particular brand, thanks to its stunning Heritage collection. This year, there are some models from the Geneva-based manufacturer that impressed us greatly as well. 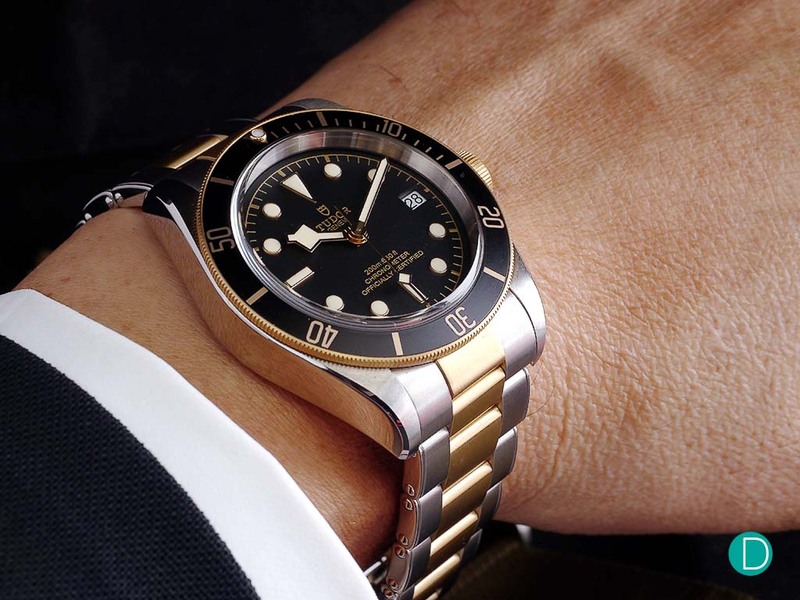 My personal pick is the “two-tone” Tudor Heritage Black Bay, which features both Gold and Steel in the construction of the watch. The combination is stunning, and it is priced a tad more reasonable than its Rolex brethren. The Black Bay Gold and Steel is available in two variants, in either “two-tone” gold-capped and steel bracelet or leather strap. They will be priced at CHF 4,700 (approximately S$6,550) and CHF 3,600 (approximately S$5,015) respectively. The reinterpreted Grand Seiko SBGR305, in Brilliant Hard Titanium. While the focus this year for Grand Seiko is its status as an independent brand, we were clearly more interested in its new watches instead. 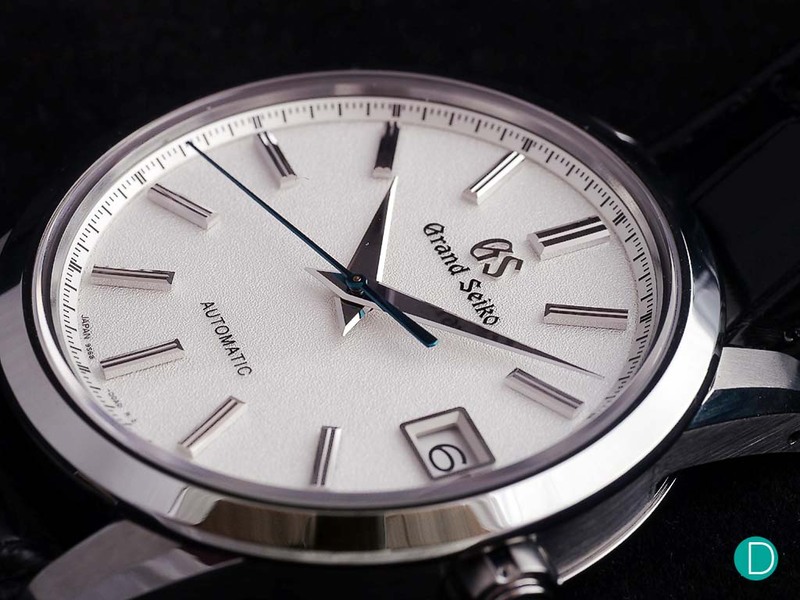 One of the pieces that really caught my eye is the reinterpreted version of the Grand Seiko, reference SBGR305. The watch is stunning, to say the least. We like how Grand Seiko have given the watch with a new lease of life, combining modern aesthetic with traditional finishing. For instance, the clean textured dial, together with the Zaratsu-polished mid-case and bezel, gives the watch a rather refined feel. In addition, the choice of using an exhibition caseback also allows collectors to admire the beautifully-finished Calibre 9S68 movement. The 40.5mm watch is cased in titanium, and it is limited to just 968 pieces. It retails at €8,800 (approximately S$13,110). Many collectors should be familiar with the Aquanaut. Since its launch in 1997, the watch has become one of the regular staples in the Patek Philippe collection. It is certainly a popular model, given its relatively more accessible price point (as compared to the Nautilus) and its good looks. 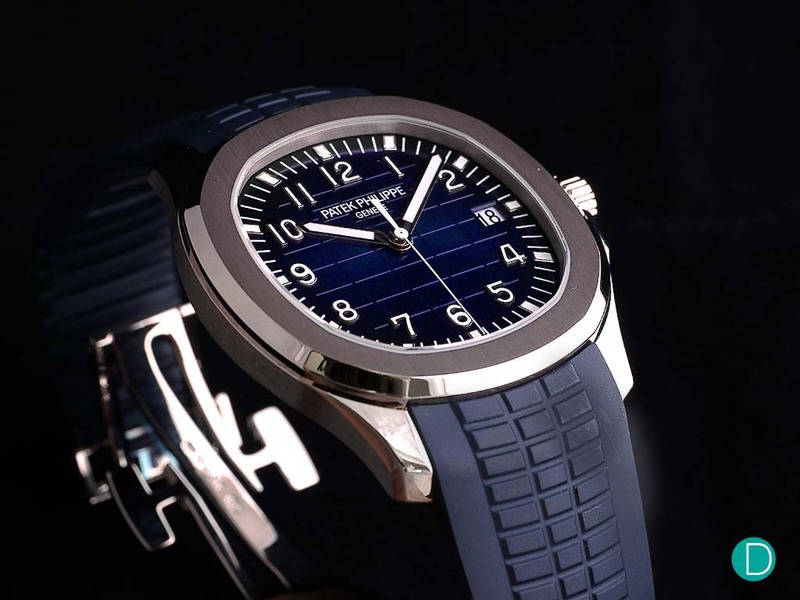 In this year’s Baselworld, Patek Philippe had gone a step further, by introducing a new variant of the Aquanaut for its 20th Anniversary. The new watch, cased in white gold, features an enchanting blue dial. It is additionally paired with a matching blue rubber strap. The new combination, we reckon, certainly makes the watch more appealing. Besides the aesthetic changes, the 42.2mm Aquanaut (which is 2.2mm larger than the Ref. 5167) remains pretty much the same. It is powered by Patek Philippe’s Calibre 324 SC, a self-winding movement that features a date function and a power reserve of between 35 to 45 hours. The watch will retail at S$ 50,800 with GST. 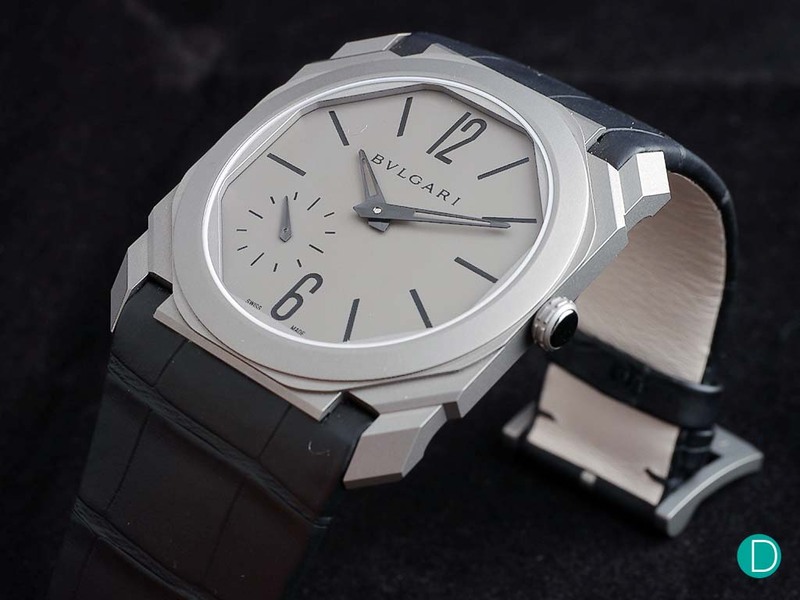 The Bulgari Octo Finissimo Automatic. The Octo Finissimo is an interesting collection from Bulgari. Focussing on ultra-thin watches, the collection had seen the creation of both the thinnest Tourbillon and Minute Repeater ever produced. This year, Bulgari had set records again, with the Automatic. With only a thickness of 2.23mm, the Octo Finissimo Automatic is a mere 0.15 thinner than the Piaget Altiplano – the benchmark for ultra-thin watches. But it is not just a timepiece that merely focus on the obsession of being thin. The Calibre BVL 138, which powers the watch, also features a platinum micro-rotor and good finishing (with Côtes de Genève and circular-graining). In addition, the power reserve of around 60 hours is rather decent for an ultra-thin. The 40mm sand-blasted titanium watch, in our opinion, is a work of art. Both mechanically and aesthetically. It is definitely a handsome watch, especially with its contemporary and artistic design. The watch retails at CHF 11,900 (approximately S$16,577) for the leather strap version, or an additional CHF 1,000 (approximately S$1,393) more for the full titanium bracelet variant. We end the article with arguably one of my favourite pieces from Baselworld 2017: the Hajime Asaoka Chronograph. Hajime Asaoka, for those who do not know, is a Japan-based independent watchmaker. What is interesting is the fact that he is a self-taught watchmaker, and his watches are nothing sort of amazing. The new Chronograph is a good testament to that. The 38mm watch is a work of art, featuring an open-work dial that showcases the mechanical bits of the timepieces. It is also fitted with a classic chronograph movement, featuring a column wheel mechanism and a large 15mm balance wheel which beating at 18,000 bph. The finishing – with a combination of bevelling, circular graining, and polishing – is pretty spectacular too. 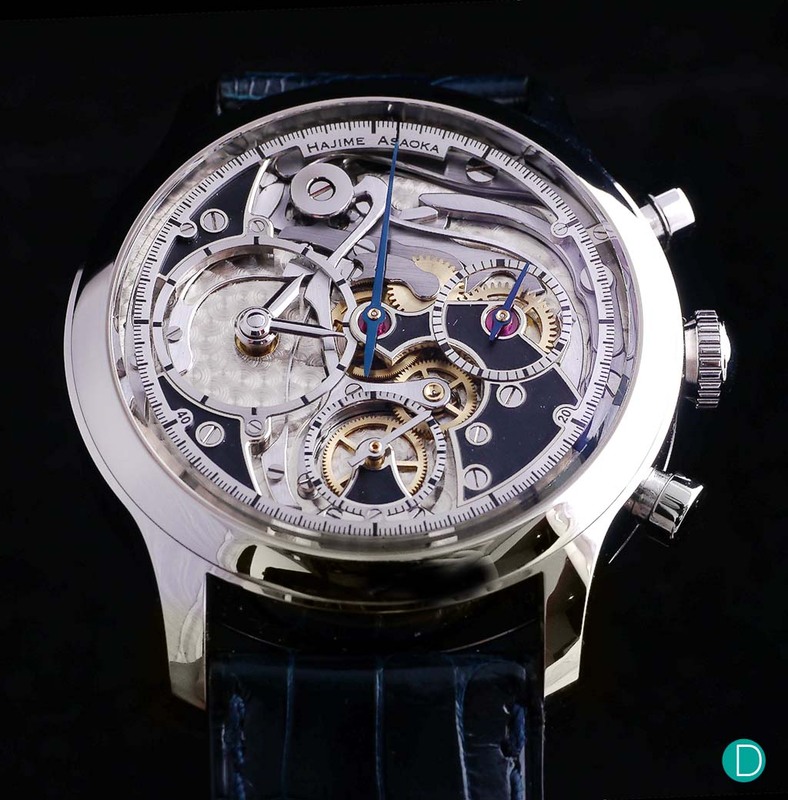 This magnificent watch is limited to an initial production of three pieces, and each of them will be priced at US$108,000 (approximately S$150,886).